Skin cancer is the most common cancer in the United States. It is common, dangerous, and visible. When detected and treated early, the outlook is good for most skin cancers. In La Mesa, CA, the Board-certified dermatologists at Grossmont Dermatology offer skin cancer treatment including Mohs micrographic surgery. Mohs surgery is a microscopically controlled procedure to treat skin cancer. Because it is such a precise procedure, Mohs surgery is often performed in areas where there is little extra skin. Treatment areas often include the face, ears, hands, feet, and genitalia. Mohs surgery is a method to remove skin cancer and preserve as much healthy tissue as possible. 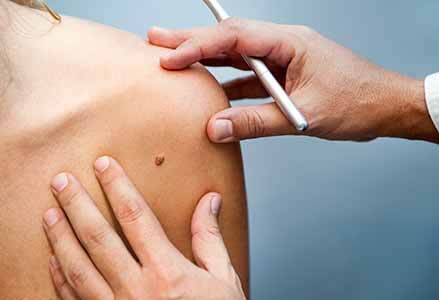 For patients who have been diagnosed with skin cancer in a high-risk area, a dermatologist may recommend Mohs micrographic surgery for skin cancer removal. The procedure is performed by a formally trained Mohs surgeon and is generally completed in one day. Mohs micrographic surgery involves four steps. Using local anesthetic and a small scalpel, the surgeon safely removes the visible cancer with only minimal margins. Tissue in the treatment area is removed a layer at a time. Then, it is examined under a microscope to search for cancer cells. If cancerous cells are present, the next layer of tissue is removed. This process repeats until the tissue is cancer free. The Mohs surgeon only removes the necessary tissue. The healthy tissue remains intact. Mohs surgery is a safe, efficient method to excise cancerous tissue. Once the tissue is clear, the area is reconstructed in a cosmetically pleasing way. Patients leave knowing the cancer is gone. With the lowest recurrence rates, 97-99 percent cure rates, and aesthetically pleasing reconstruction, Mohs micrographic surgery is a great option for skin cancer treatment in high-risk areas. It is a precise, effective method for eliminating most skin cancers.